The risk of a fire in your home is something serious you should consider. When it comes to a fire in your home, a firefighter can only do so much to tame the flames, which is why it is imperative to have some form of fire protection services in your home. One fire protection service that saves lives every year is a sprinkler system. If you are unsure of whether to get a sprinkler system or not, here are just some benefits. Every year, fires destroy homes and take many lives. It is not just the lives of the people who get trapped inside that you have to consider but the firefighters who are trying to rescue your family. A firefighter can fall through the floor, get hit by falling debris, or get smoke inhalation. Having a sprinkler system in place helps reduce these types of problems. Once there is a fire, the sprinkler system start to work and makes visibility easier. When a firefighter has a clearer picture of the situation, injury and death are less likely. Sprinkler systems are more money upfront but can save you money on homeowners insurance and fire damage. Most homeowners insurance will give you a discount on your insurance if you have a sprinkler system. The discount depends on the type of sprinkler system you have. 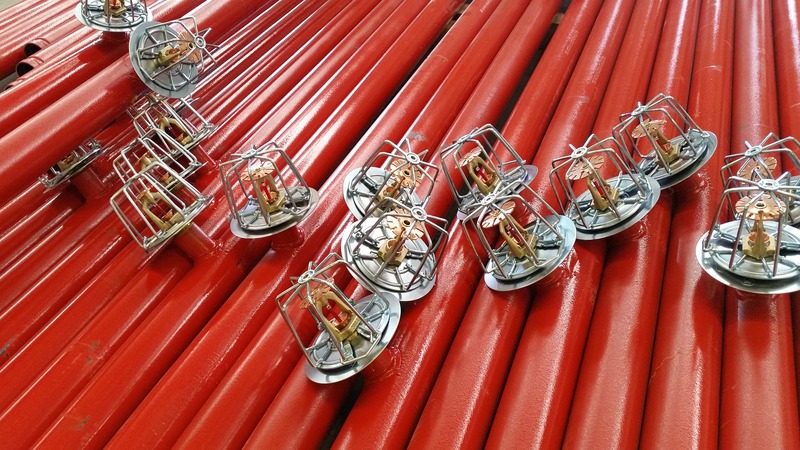 Sprinkler systems also help you save money on fire restoration services. Since sprinkler systems help reduce the amount of damage, you will end up paying a fire restoration service less due to less work. A sprinkler system is fast acting. As soon as a fire starts, the sprinkler system can pinpoint where the fire is and start to extinguish it. If you wait for an emergency service to get there, the fire could spread to other rooms or homes, which would mean more water would be needed. Your sprinkler system will put out the fire more quickly and efficiently than waiting for an emergency crew. A fire can spread quickly. The key to taking care of a fire is to treat it quickly. A sprinkler system is the fastest way to take care of a fire. As soon as a fire starts, your sprinkler system automatically kicks on. You do not have to worry about someone noticing a fire. Since a sprinkler system is so fast acting, it can eliminate the amount of damage. When you have a sprinkler system in place, it is less likely that the fire will spread to other areas of your home. Whether you have a sprinkler system or not, you will need fire restoration after a fire occurs. When it comes to handling fire damages, you want to hire someone who can be there quickly and take care of all the damage. If you are in need of a fire restoration company, then call the experts at Restoration Experts. We understand that fire damages need to be dealt with quickly and efficiently. We provide the best fire restoration services around. Call us today at 1-877-721-8812.